The Purty Kitchen In Monkstown is the third oldest pub in Dublin and the oldest pub in it’s own local area. It dates back to 1728. 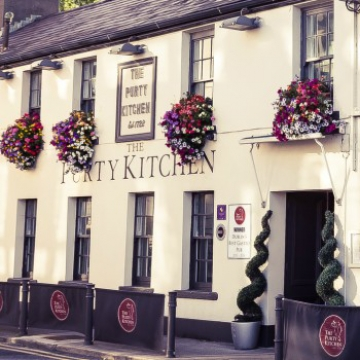 The pub has traditionally enjoyed a fantastic reputation for great food, particularly seafood as well as a good place in the hearts of the locals and visitors who share fond memories of great times enjoyed in The Purty Kitchen. The Purty Loft, upstairs in The Purty Kitchen has played host to a plethora of big Irish and International stars including The Dubliners, Aslan & Don Baker and in more recent times has been host to Republic of Loose, Luka Bloom and Declan O’Rourke.